Includes 20 mailing pockets all adjustable in 1" increments for the perfect mail pocket size. In the full service mail center these mail sorter allows for better lighting, air flow, and less dust problems. 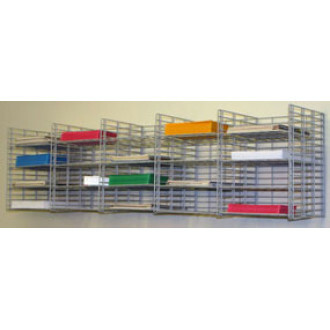 These mail sorters can be conveniently hung from your office walls or sides of your cubicles to save space. Color is light neutral grey to blend into your mail facility. 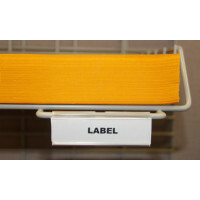 Optional large clip on labels swings for easy sorting and retrieval of mail.